Are you curious what our artificial grass looks and feels like in real life? At Watersavers Turf, we know you’ll love our products once you have them in your hands. That is why we offer FREE artificial grass samples to our customers. If you’re a homeowner and would like samples shipped to you, you just need to cover the cost of shipping (or visit one of our stores for no shipping charge). Our Homeowners section has more details. If you’re a contractor, head to our Contractors section and contact us for samples. There is no better way to choose synthetic turf than to hold it in your hands and feel it. Our samples are so large that you can even stomp around on them and see how they cushion your feet. Also, you can place the samples anywhere to observe how they look in the shade or direct sun. 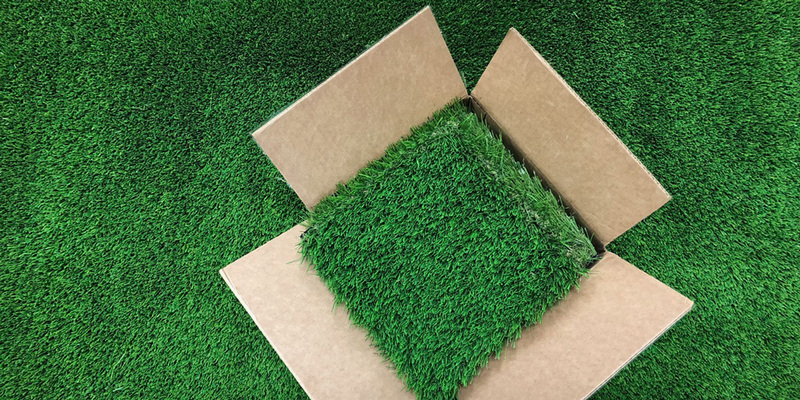 For contractors, we think there isn’t any better way to show your clients how artificial grass samples will look in any place on your job site. They can see how our product looks and feels which will help them more easily decide. We encourage you to fully stock your trucks with our different sample types. You can choose from over 40 varieties. Our expert staff can tell you which ones are the best performers and which are the best value. You will be ready to show clients what they’ll be getting, which goes a long way to closing a sale. Synthetic turf samples make it so simple for clients to choose what they want in the way of fake grass. We have products that fit all needs, from budget to high-end, and they all feature the same top-grade feel and look. Whether you are going to cover a backyard play space or sports arena with fake grass, we have what you need. Our synthetic turf samples are a great way to make the right choice. Contact us today to get your free artificial grass samples. Contractors can call us at 844-974-8873, and we will ship them free of charge.